Rotorua Taxi Society looks forward to our Health & Safety meetings with Kay, our Securo consultant. This H&S process has been an eye opener and learning curve for Rotorua Taxi Society. We are complying with our H&S process and ensuring this is an on-going, working, active document moving forward. Many people think they know about H&S but you quickly realise how much there is to learn once you’ve got an expert to coach you. Rotorua Taxi Society is unlike other businesses as we have a different organisational structure matrix from the norm. Because Rotorua Taxi Society is a Providential Society, there are shareholders who own their taxi share’s. The Shareholders either employ or have contract drivers to driver their taxis. With Securo’s help, Rotorua Taxi Society needs to ensure that everyone, at all levels, knows what their H&S responsibilities are for themselves as PBCU’s and for their employee’s / contract drivers. Rotorua Taxi Society does highly recommend Securo as your H&S provider and would suggest if you are looking for a Provider look no further contact Securo today and they can assist with your concerns and questions. With Securo’s expert advice, Rotorua Taxi Society has the confidence that as an organisation we are complying with the H&S laws,and the rules and regulations associated with this process. I personally rate the services of Securo as a 5 out of 5. The inbound newsletters are always of value and relevant to the job I perform. I enjoying reading them and often find a tip or two that I can introduce at our workplace. Whenever I contact Securo, the response is always timely and my queries are well answered. I am dealing with Ken White, who was newly appointed by Securo since Dec 2016 and assigned as H&S consultant for Zymus as well. He is a nice, friendly and knowledgeable gentlemen and clarified all of my questions/enquiries. One full site audit was conducted by Ken who addressed and identified opportunities for improvements. Ken reviewed & verified our hazard register to reflect the current changes/requirements. Ken conducted refresher ergonomic, fire evacuation & manual handling training for all Zymus staff. Ken is quick to respond to emails and phone conversations, and provides quick action on requests. 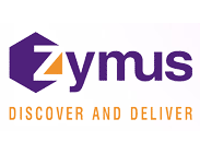 On behalf of Zymus, I am happy with Securo services and working with Ken White. Securo has simplified our requirements with Health and safety as we can look in the manual provided and find the relevant section needed, we get awesome help from Mike with the monthly meetings and he showed how to do the annual review and complete all the requirements. We are tracking well and there has been a great time savings for the team. My name is Lee Jones, Auckland and I am the Health & Safety Coordinator for MRC Transmark Ltd.
Securo is our preferred supplier for all our Health & Safety requirements for obtaining information and training and have been now since 2007. It is very important to me that I have a reliable means of getting information on Health & Safety in a correct and efficient manner. Direct information and your online training sessions have been an enormous help to our company and staff. With Securo's help and assistance we have achieved tertiary level at each ACC audit. Friendly, extremely helpful and their service is exceptional. Superb. We have been using the Securo Health and Safety system since late 2013. Their knowledge and support has been vital in the development of our health and safety programme and our wish to have a safe and enjoyable environment for our staff and stakeholders. The Securo online systems and staff offer great support and advice on all matters relating to Health and Safety. Plant Propagation Laboratories has worked with Securo and Chris Vickers over many years helping the company through the ACC WSMP program from Primary through to Tertiary level. The company has recently been audited and has achieved Tertiary level for the third time. Besides the WSMP program Securo has also helped us by providing us with support and advice in many areas of health and safety from compliance issues to advice about specialist health and safety trainers. Without the help of Securo and Chris I can safely say that the entire WSMP audit process would have been far more difficult. When it comes to Health & Safety I can't recommend Chris and Securo highly enough. Securo Systems and consulting support has enabled me to bring Babich Wines Health and Safety System to an auditable level, and has saved us a significant amount in ACC levy's. Despite my having no prior background in Health & Safety we reached ACC WSMP Tertiary Certification with our first audit. Our Securo Safety Consultant is always ready to answer questions and provide training and information whenever we need it. Integrated Technology Solutions has been using Securo over the last few years, relying of the excellent support of consultant Kenneth Hannon. Our Health & Safety system was set-up from scratch using the numerous Securo templates and Kenneth's guidance. Following a recent Workplace Safety Management Practices (WSMP) audit our company improved from Secondary to Tertiary status. Our Health & Safety system is running very effectively and Kenneth is always available for any support we require. We would highly recommend Kenneth Hannon and Securo for their services. Guala Closures NZ has gained Secondary ACC accreditation for its Health & Safety system. The system would not have been possible without the help of the Securo team in getting us ready for the ACC audit & our subsequent pass. Ken our consultant has been excellent in helping us, (leading us) in all requirements that were needed, this was done in a simple & systematic way so that all you had to do was follow the steps as outlined by Securo. We continue & will continue to use Securo as our Health consultant moving forward as any changes in NZ law around this area we know will be communicated to us so that we are always in the loop. I would recommend any organisation who needs help with any Health & Safety matter to use Securo, you will not be disappointed. Securo set up a Health and Safety plan for Avonmore Tertiary Institute back in 2009. When Securo teamed me with H&S Consultant Janine Haselden her enthusiasm, knowledge and patience assisted me in developing our Health and Safety to become an integral part of the culture at Avonmore. Thanks to a wonderful consultant, a very comprehensive manual, excellent website and newsletter, Securo has assisted Avonmore in achieving ACC Tertiary rating by the second audit, and has enabled us to maintain that level. Securo's ongoing training and support ensuring we are aware of updates and improvements have been invaluable. 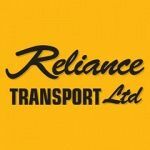 Reliance Transport Ltd has had the support of Securo for over eight years by way of their Health & Safety Manual, Health and Safety policies, answers to queries and Pre WSMP Audits. During the last six years RTL has maintained WSMP Tertiary and has just been audited and recommended to ACC for another 2 years to June 2017. Due to staff numbers at two work sites and also having a day and night shift it is sometimes difficult to organise attendances for different Training Course Presentations that are applicable to our industry, such as Hazard ID & Awareness, Spill Management and Fire Awareness. This brings me to a big thanks to Kenneth Hannon for his time and efforts for the early morning starts and Training Course Presentations at both Avondale and Wiri sites. These Presentations were followed up with individual staff attendance certificates for each subject. Book Systems International Limited and Multi Freight Limited have worked with Securo over a period of time with Roscoe Tait as our consultant. As a new employee last year and novice in the Health and Safety area, I have found Roscoe to be extremely helpful in assisting with training and improvements in our system. He explains clearly the requirements we need to meet as we work actively towards OSH compliance through the Securo Small Business Health and Safety System. Roscoe has efficient processes in place to facilitate follow up and forward planning which ensures our Health and Safety systems are monitored and work successfully. We at Vital Foods have had 4 years of assistance from Securo in setting up, and instigating our H & S system into our daily lives, and we are extremely pleased with their professional approach, firstly with Kenneth Hannon, and now with Roscoe Tait. They have assisted us through the hard part of the initial setting up and then running with optimum efficiency, and made the whole process very easy. The staff are only a phone call away and are happy to assist with any H & S issues that may arise. My name is Diane Taylor and I am the current Health & Safety Coordinator for Positive Image. We have been with Securo now for a total of 3 years. Securo and their consultants have provided our team with full training and have helped put structure around developed policies and protocols that mean health and safety awareness in our work place is a norm, not something that we battle against. Yes! We recommend Securo to help protect the health and safety aspect of a business and to ensure future regulations in the workplace will be met. Device Technologies had a Health and Safety policy document sitting on the shelf for more than 5yrs untouched. It was written by an independent consultant and was relevant at the time of writing but had no impact in the business. Device Technologies then chose to work with Securo to redevelop the internal culture based on their easy to follow templates. This has saved us considerable effort at a reasonable price. With our consultant Kenneth's help Device achieved our goal of a Secondary level accreditation from ACC on our first attempt. Kenneth's support is fantastic and is a real world practical approach. We now have a culture which takes seriously the responsibilities under H&S. I sleep well at night knowing that our employees are safe and if an accident did occur we have support available. Device will continue to use Securo to be accountable for keeping the system going and up to date with the constantly changing H&S requirements. I recommend Securo to any business wanting to make similar cultural changes. .
We have been very happy with our Securo representatives and the support and help we have had from Securo in general. There is always somebody to speak to if we have a problem or query and nothing is too much trouble. Kenneth Hannon from Securo has looked after our Health and Safety since October 2009. We find his knowledge and guidance has been invaluable to us in getting all the requirements needed for ACC Workplace Safety Audit and Health and Safety issues, especially now with the new Health & Safety Act coming into place. We really do appreciate all the communications and updates. I inherited ownership of our Health and Safety coordination last year. I appreciate the help that Kenneth gave in preparing and guiding us through our recent ACC Workplace Safety Audit. We have been upgraded to Tertiary level which is fantastic and testimony to the preparation and work put in before the audit. Because of Securo's rigorous training, we have secured a Tertiary Level pass with ACC. The system is easy to follow and staff training is ongoing. Choosing Securo means we have confidence we are complying with current H&S legislation, and are kept up-to-date with any changes. We appreciate the availability of their staff when required and guidance when needed. Our consultant keeps in touch and is only a phone call away if we need any advice on H&S issues. I would like to recommend Janine Haselden, who has taken on the role of Health & Safety Consultant for Windoware since May 2006. Janine undertook the enormous task of implementing the Windoware Health & Safety System and then went on to take our Company (spread across 5 branches nationwide) to achieve ACC WSMP Accreditation. Under Janine's expert tutelage, we achieved this to Secondary level on our first attempt. Her extensive knowledge base, devotion, expertise and immeasurable patience have guided us through the entire process with ease. If Janine was ever unavailable, Securo provided an excellent and efficient backup support service and the value to our company has been significant. I cannot recommend Janine highly enough to any future companies considering utilising the services of Securo. We chose Securo because of the systems and support they provide. We have worked with Securo over a period of time with Chris Vickers as our Consultant. Chris has always been extremely helpful in assisting us with staff training and clearly explaining what has to be done to enable our Health & Safety systems to work successfully. During this time we have put in Health & Safety systems which have enabled us to gain Secondary level WSMP. We are endeavouring to attain Tertiary level later this year. Due to the way the system has been implemented it is accepted by Management and Staff as part of the everyday working environment at Rob Walker Ltd. The team here at Securo, specialise in making workplaces like yours safer, in all 12 regions throughout New Zealand. We work with businesses and industries of all sizes to set up their Health and Safety systems, and have done for 20 years.